Across Idaho, at the state and local level, Tuesday is Election Day. A host of important legislative primary elections. Two dozen school bond issues and levy elections. And two hotly debated recall elections in West Ada. Just catching up? Let’s walk through the key races. All 105 legislative seats are on the ballot this year. And it’s a mixed bag. Thirty candidates are unopposed next week and in the November general election. Sen. Shawn Keough — the co-chair of the Legislature’s budget-writing Joint Finance-Appropriations Committee — is facing a conservative challenge from Priest River Republican Glenn Rohrer. Keough, R-Sandpoint, has raised a startling $79,000 in the most recent fundraising cycle. Keough’s House counterpart on JFAC, Jerome Republican Rep. Maxine Bell, faces a challenge from Jerome Republican Reggy Sternes. Rep. Wendy Horman, R-Idaho Falls, is another key player on JFAC. The former school trustee has taken a lead role in writing the K-12 budget bills the past couple of years. Her primary opponent, Idaho Falls attorney Randy Neal, is among a number of conservatives receiving financial backing from embattled county Republican Chairman Doyle Beck. Other races could shape the makeup of the House and Senate education committees. Six Republican committee members face primary opposition on Tuesday. The race to replace retiring House Education Chairman Reed DeMordaunt R-Eagle, is worth watching. His wife, state charter school commission member Gayann DeMordaunt, faces Doug Jones, who served 20 years in the House representing the Magic Valley. Click here to take a closer look at the candidates running in key primaries, and click here to look at the latest campaign fundraising news. There has already been considerable turnover in West Ada. Superintendent Linda Clark resigned in October, after months of public disputes with the school board. Trustees Russell Joki and Julie Madsen, elected in 2015, resigned earlier this year, under the cloud of a recall. Ultimately, the decision will rest with a relatively small number of voters, patrons who live in the two trustees’ zones. It will take a majority vote to recall the trustees. In addition, the votes for recall must exceed the number of votes the trustees received in their 2013 elections; Dean received 185 votes, Sayles received 339 votes. Caldwell: A two-year, $5 million supplemental levy. Money would go toward career-technical education and extracurricular programs. 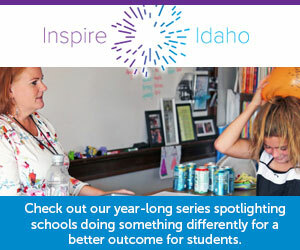 Join us Tuesday night: Check idahoednews.org for the latest results.